JEFFERSON CITY, Mo. 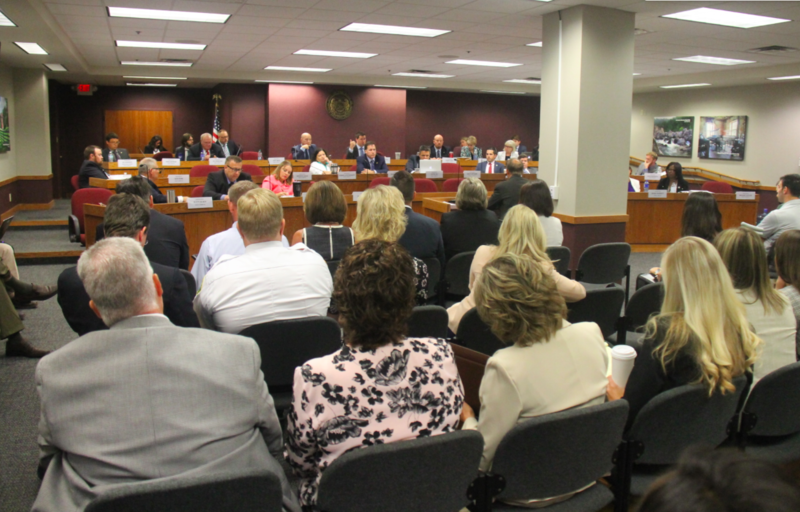 – A new state policy regarding Medicaid’s managed care system is proving to be one of the most contentious and complicated topics for Missouri government officials right now. Missouri hospitals say the new policy, which allows insurance companies to reimburse providers at 90 percent of the Medicaid managed care rate if the provider is not “in network” with the insurer, isn’t working in the fairness of all involved. They say that insurance companies are the only beneficiaries of the deal, giving them an unfair advantage, thanks to “unethical” Missouri politicians. The move is one that could cost some Missouri hospitals and the regions they serve dearly, as some rural hospitals are warning that the change in terms could lead to financial losses. The state agency that handles delivery of Medicaid says the new policy is intended to encourage providers to participate in the managed care system. As of May, about 713,930 individuals were enrolled in one of the three Medicaid managed care plans, which covers eligible children, pregnant women and the parents of children 18 and under who are eligible for the program. The state’s Medicaid program is broken into two parts: fee-for-service or managed care. Under fee-for-service, health care providers are paid for each service they perform and the rates are set by the state. Under managed care, three insurance companies are paid a set fee each month for each member enrolled in the plan. Individuals under managed care can choose from either Home State Health Plan (Centene), UnitedHealthcare or WellCare. Under the changes, which took effect at the beginning of July, providers would need to come in-network with the three insurance companies contracted by the state to provide coverage to certain Medicaid recipients. The reason for the changes, the Department of Social Services says, was to increase provider participation in managed care plans, but the issue there is that it could discourage private practices from accepting Medicaid, leading to reduced access to physicians, especially in more rural areas. Usually, the providers and insurance companies negotiate the pricing terms for Medicaid care, but as a result of the changes, many wonder what incentive exists for insurers to negotiate, as the scales seem to have been tipped in their favor. In a public hearing held prior to the effective date, some opponents of the changes said it puts the hospitals in a negative bargaining position. Tom Luebbering, chief financial officer of Capital Region Medical Center, said that one of the three managed care plans terminated its contract with them without even trying to negotiate this summer, something that other hospitals also attested to. Everything seemed to come to a head on Tuesday, when the subject was brought up before the House Budget Committee. Steve Corsi, the director of DSS, told the committee that the idea behind the changes was to help them increase participation in the program and reduce some costs. Chairman Scott Fitzpatrick asked the Department to explain the process they had gone through to get the changes completed. Jennifer Tidball, acting director of the MO HealthNet division, explained that they had a phone conference in mid-June, but in that conference, they had issues with the phones to where some couldn’t hear. After that, they put out a request for comments, with a deadline of July 9th, which she acknowledged was pointless since the effective date would come eight days before on the 1st. They had another hearing on the 29th, and Tidball said they had taken comment into consideration when making the changes. Fitzpatrick said there had been issues along the way, and that he had wanted the process to be fair. He said that he felt like DSS had burned him while he tried to help and mediate, and that there was a lack of communication. He had wanted them to figure out a way to delay for thirty days to allow the public comment period to take place, but said after speaking with them, DSS had elected to simply move forward. “We’re clearly in the wrong, we clearly made mistakes,” Corsi conceded, saying they were committed to making sure they “over-communicated” and had direct communication going forward. Rep. Marsha Haefner said she was a “big fan” of managed care, but asked why they had rushed when issues were present. Tidball said that they were setting rates for that time period. Rep. David Wood asked if it would lead to hospitals choosing not to accept out-of-network patients, and also asked why this issue was their problem since they were not seeing any savings through the changes. “If we’re not seeing any savings through it, then we shouldn’t be doing it,” he said. Rep. Justin Hill said that it incentivized providers to not go out and get contracts, asking who would be paying for the mistake. She responded, saying that in the rates they’re getting ready to pay, they have to build additional rates because they’re seeing contracted rates at an average of 148 percent of what they’re paying for need-for-service. Though the comment period has passed, DSS says they still intend to take the comments and use them going forward. DSS also noted that the 90 percent would have no effect on their rates, nor was there a change to their FRA.